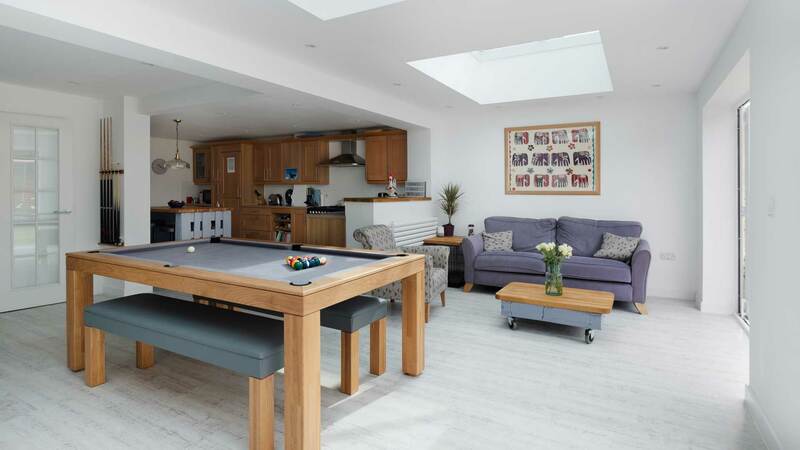 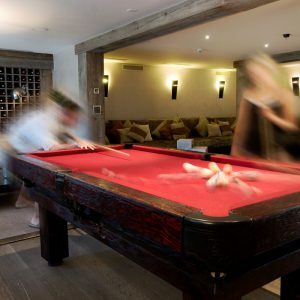 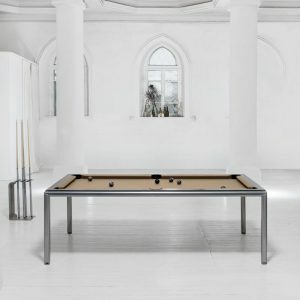 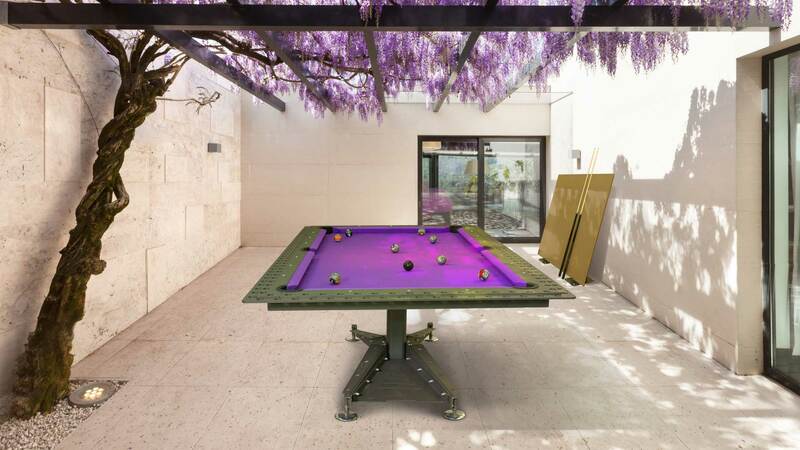 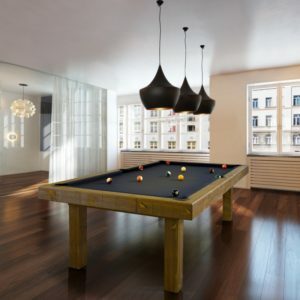 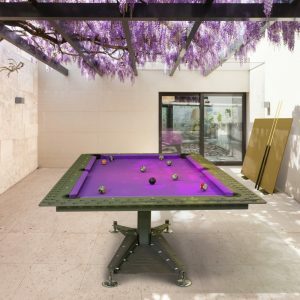 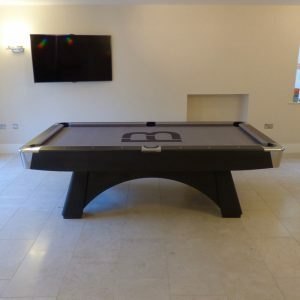 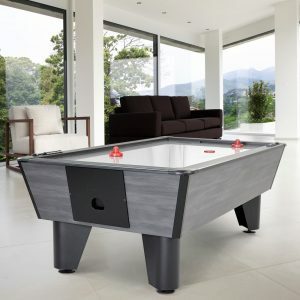 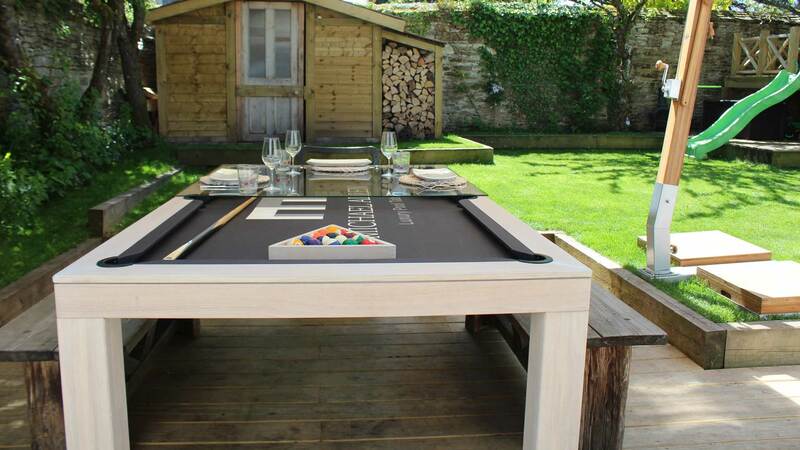 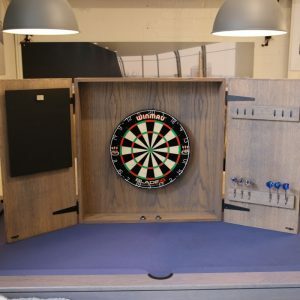 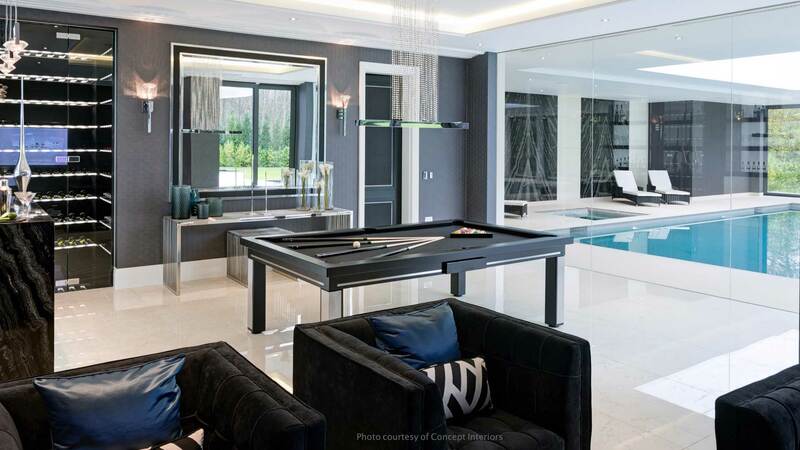 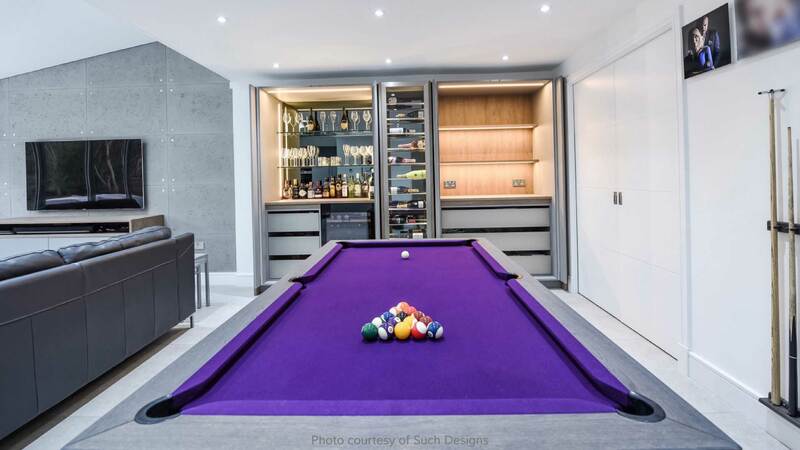 Michael Allen, Luxury Pool Tables are the UK based Pool and Snooker table experts, providing a complete array of custom made and bespoke games tables. 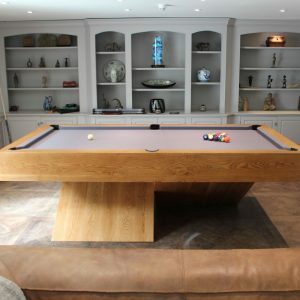 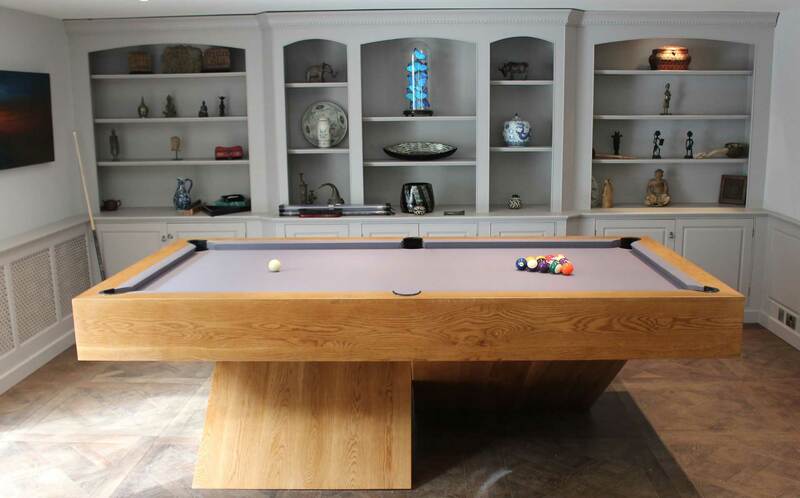 Our Pool Dining Tables are our speciality where we are passionate about providing the perfect combination between a superb Pool Table and a stunning Dining Table. 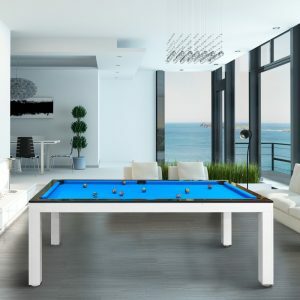 We provide a first class customer service experience, so if you are thinking about buying a Pool or Snooker table then please get in touch. 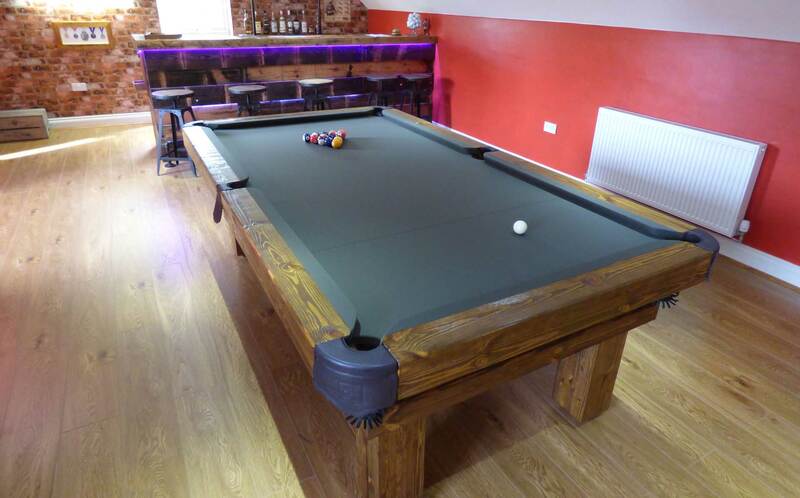 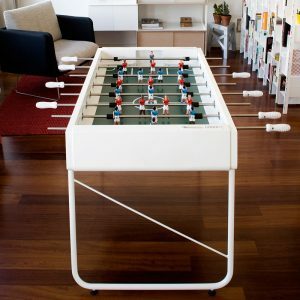 Pool and Snooker tables are where our business began, but we have since built a beautiful collection of other beautiful games including Table Football, Table Tennis, Backgammon and Chess. 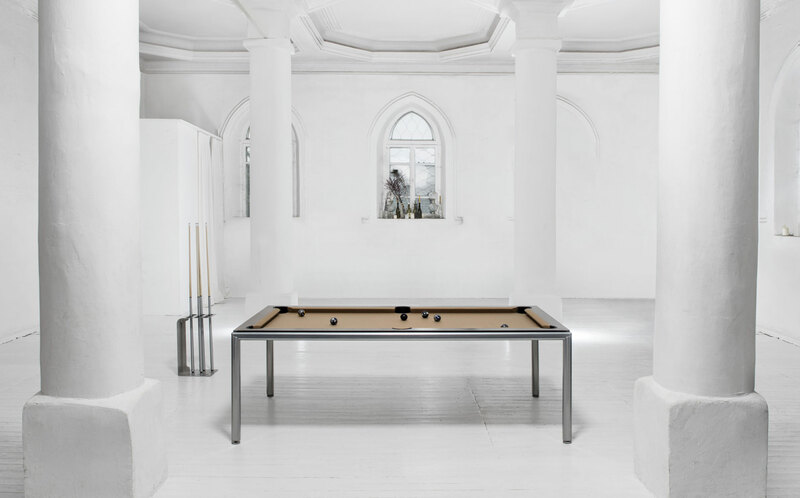 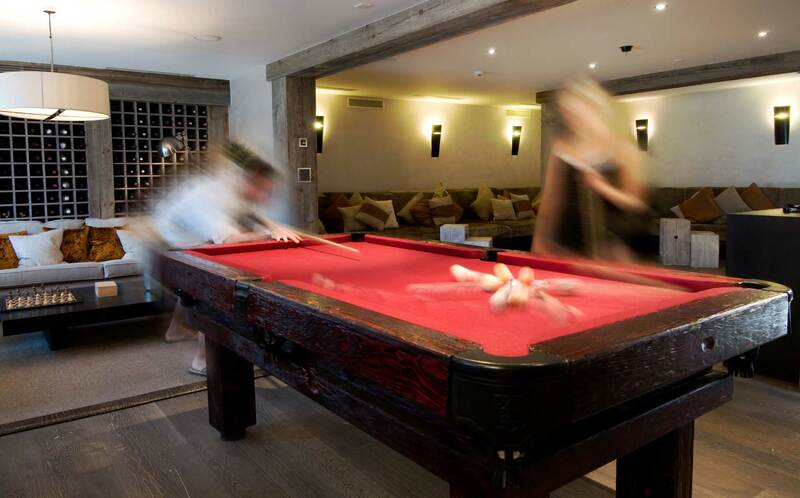 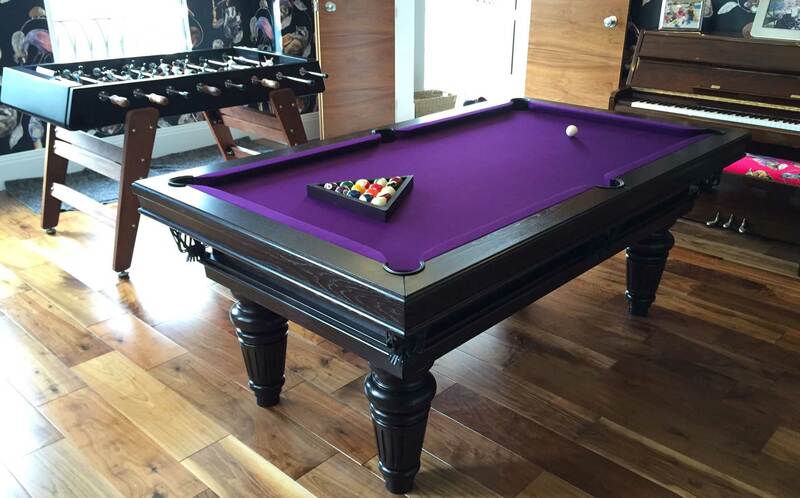 What makes our tables Luxury Pool Tables? 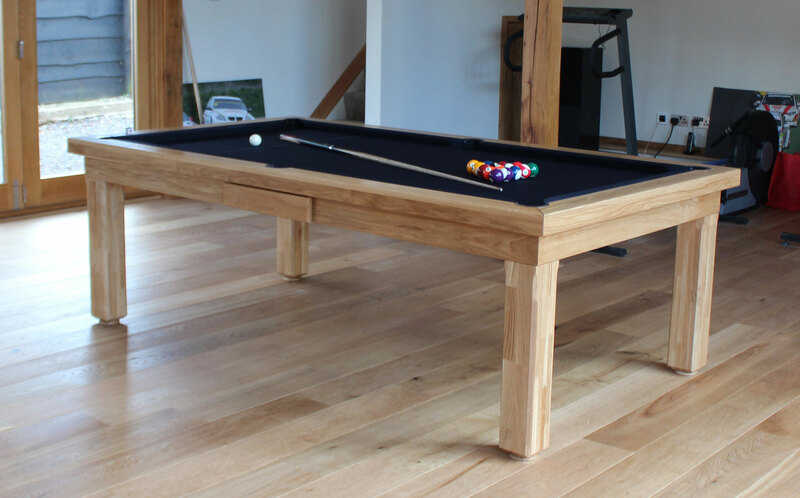 All of our tables are built from a solid wood* of your choice including Birch, Ash or Oak and all with high quality slate beds. 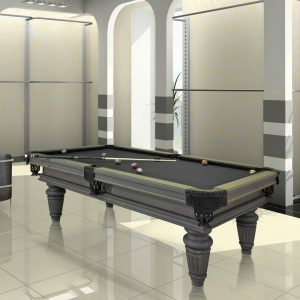 We only use the best quality cloths including Hainsworth and Simonis, good cushion rubbers and they are installed by experienced professionals. 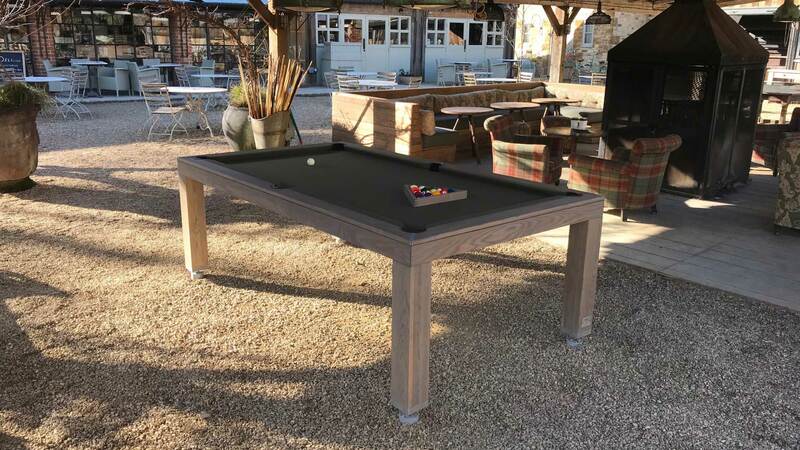 We have a complete array of table ranges including Modern, Contemporary, Slimline, Traditional, Rustic, Outdoor and Professional – and within these ranges you can completely customise the table in terms of sizes, colours and frame design to make your table look as you wish. 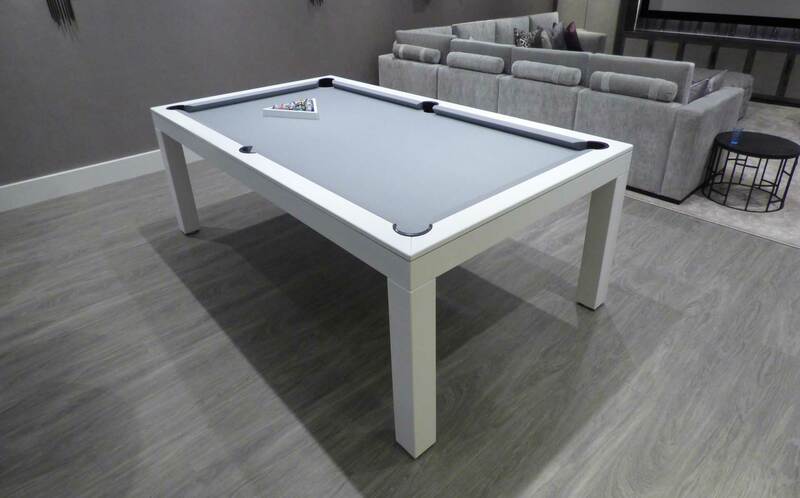 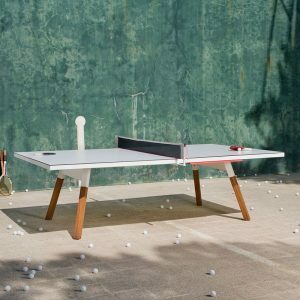 Many of our luxury games tables also double up as a dining table including our Pool Dining Tables, Table Tennis Dining Tables and Table Football Dining Tables. 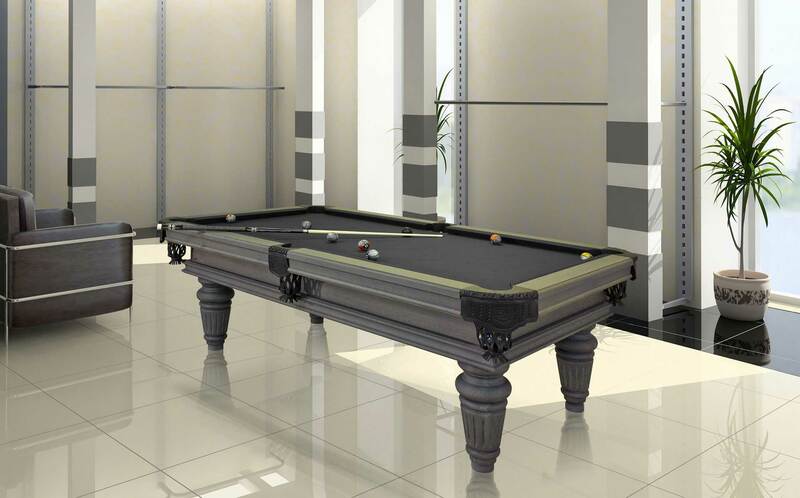 All of our Pool Tables can be built as an English Pool Table, American Pool Table, Snooker Table, Carom Table or finally a Russian Pyramid Table. 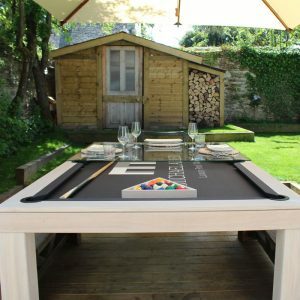 We are happy to post wood and cloth colour samples if you are unsure of which colours to choose, or alternatively you can come to see us at our Oxfordshire base. 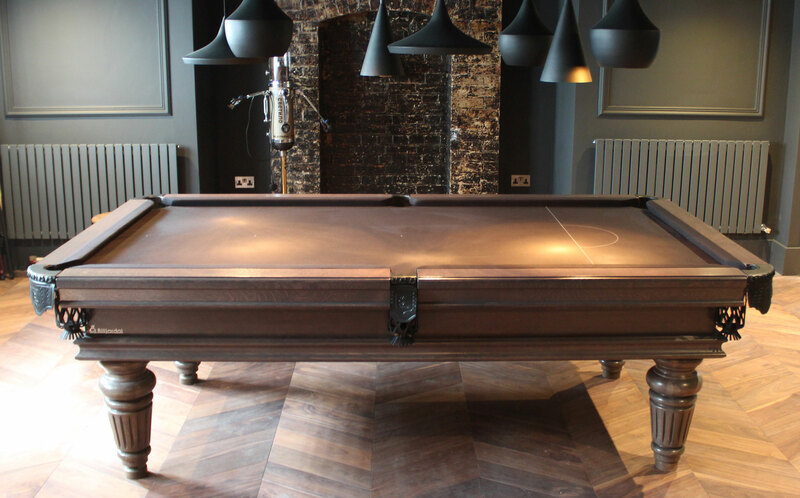 Many thanks, the Luxury Pool Tables team! 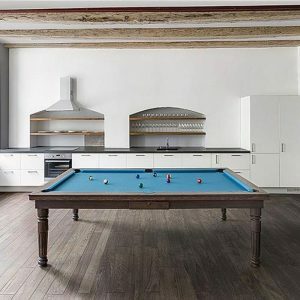 * excludes the Professional Range.